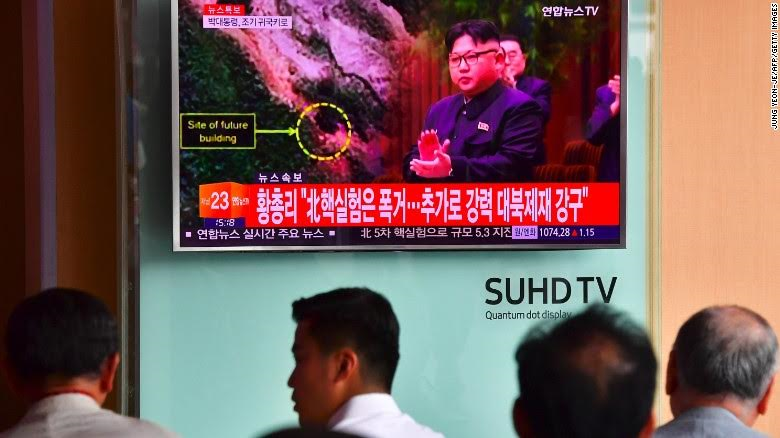 The Supreme leader of North Korea Kim Jong-Un on Friday morning carried out the launch of its most powerful nuclear warhead - a move that's sure to rile the US and neighboring South Korea. Neighboring South Korea stated this morning it believes this is the North’s biggest nuke test to date – reportedly twice the size of that which leveled Hiroshima. 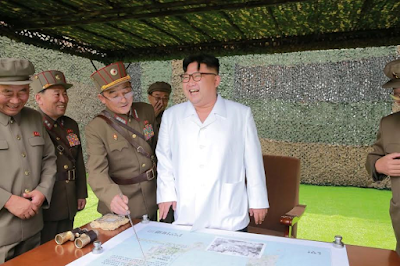 According to North Korea's state run media in Pyongyang, the warhead could be mounted on ballistic rockets and would enable North Korea to produce "a variety of smaller, lighter and diversified nuclear warheads of higher strike power." "It's hard for us to verify their claim. My deep fear is that they will launch a live nuclear weapon on one of their missiles, but that would be extremely dangerous as that could trigger a war,"
South Korea, Japan and China have condemned the nuclear test in it's entirety saying the move by the dictator is a clear violation of the United Nations Security Council resolution. "The only thing that Kim Jong Un regime can gain from the nuclear tests is stronger sanctions from the international community and its isolation. 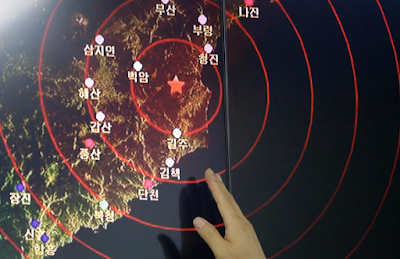 Such provocation will eventually hasten its path to self-destruction,"
We are currently analyzing whether it was a successful test," a South Korean defense ministry official told CNN. According to CNN, the US Air Force is expected to start flying the WC-135 Constant Phoenix Aircraft today to take air samples and see if it can determine a nuclear event occurred, if this is determined North Korea will be in line for heavy sanctions from the U.N and international community.